It leaves one in immense wonder, how this powerful gift to mankind is never fully nurtured and utilized by many and is left to rut with neglect. Merriam-Webster dictionary defines the mind as the element or complex of elements in an individual that feels, perceives, thinks, wills and especially reasons. The mind is what makes us conscious beings. It is what differentiates a “Richard Branson” from a “Bill Gates“. The mind is what makes these two different from you. In other words, the mind is what makes you→ YOU, not your physical features. Even identical twins have non-identical minds which makes one a totally different person from the other. The powerful words in the works of great writers and philosophers. 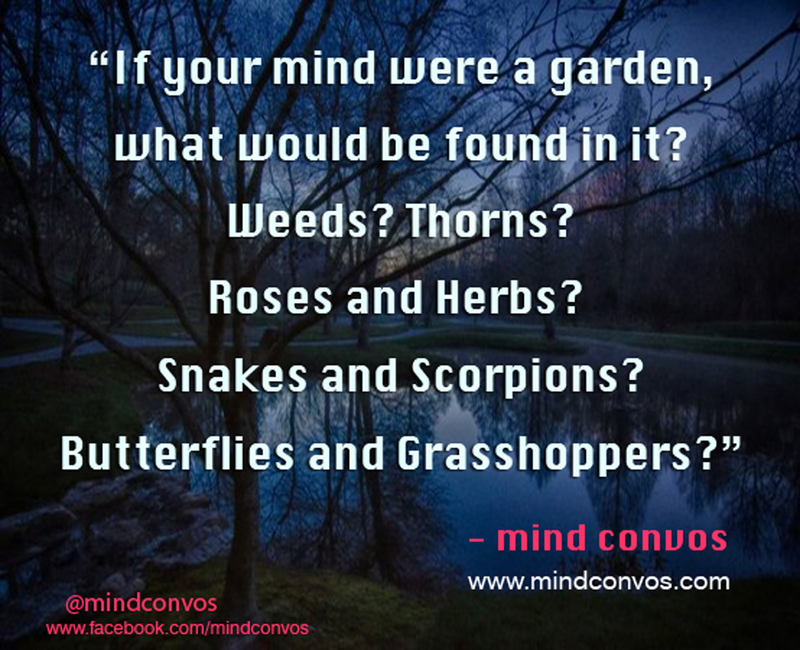 All these can be attributed to only one thing→ THE MIND. The human mind is so powerful: It has made kings and destroyed kings. It has made nations and destroyed nations. It has made destinies and destroyed destinies. Why then should we not pay attention to that which can so easily make or destroy our very existence? Many of us just breeze through life and whatever happens along the way is attributed to destiny or fate and whatever character we exhibit is attributed to our genetic makeup and environmental influences but what about that which makes us the most powerful earthly creatures of God that we are? ➡ The Mind. The mind should be consciously trained to think only thoughts that would drive our destinies to the positive destination which we crave, that would yield the positive results which we seek but how can this be when the human mind by default is a wanderer, a “strayer” which sways in many directions and sometimes ends up in the darkest of thoughts? If the mind is what makes the decisions, how then can the mind train itself? The greatest way to train the mind is the same as the greatest way to destroy it→ INFLUENCE. Almost everything we see, read, hear, leaves a little (or a great) bit of something in us, that something is called Influence. The mind through willpower, can train itself by monitoring the kinds of influence it lets into itself. Well, are you curious, anxious, worried, or excited? Are you wise, naïve, intelligent or seeking intelligence? Are you a deep thinker? Are you human though? Do join me on this blog as we go on an amazing journey to self-discovery, awareness and excellence-producing habits development and maintenance.